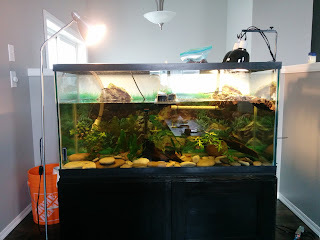 Now that the turtle tank (minus the turtle) is up and running I've turned my attention to growing lettuces hydroponically using the aquarium water as the nutrient solution. The tanks has not quite completed cycling yet. The ammonia levels are almost back to zero and the nitrite levels have peaked but the nitrate levels are only just beginning to climb. This seems like a good time to begin germinating some seedlings so that in a week or so they will be ready to take up the nutrients from the water. 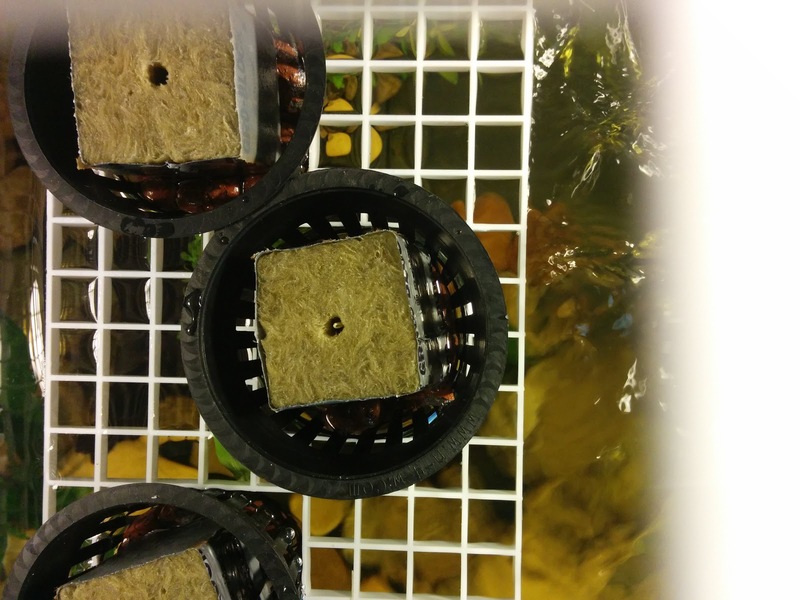 I constructed a raft, to hold three net pots just below the water level. 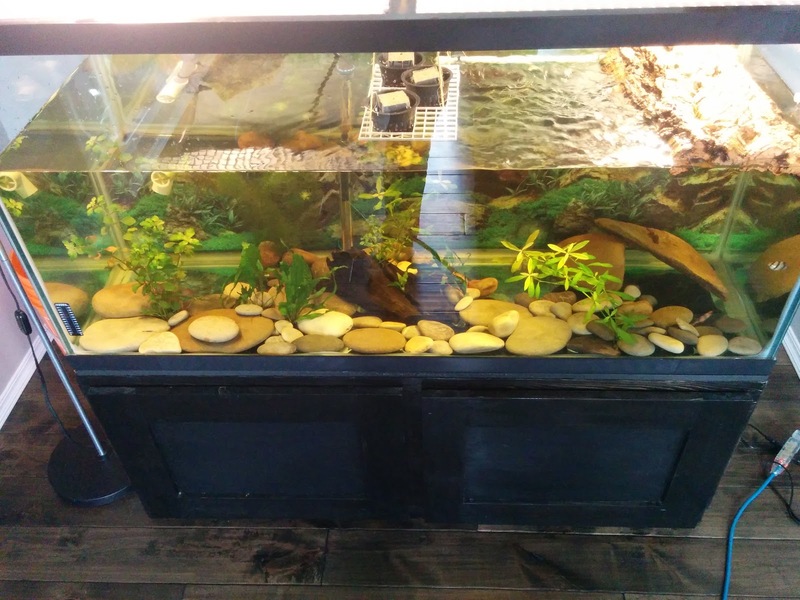 The raft is actually suspended from the cross-brace of the aquarium lid. I will have to make this a little more turtle safe later on, but I want to see if it works first. 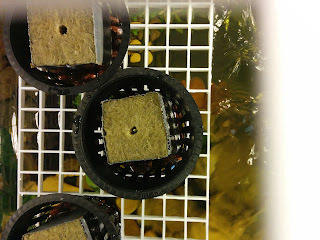 Three days ago I planted red lettuce seeds about 1/4" deep into some 1" cubes of rockwool. 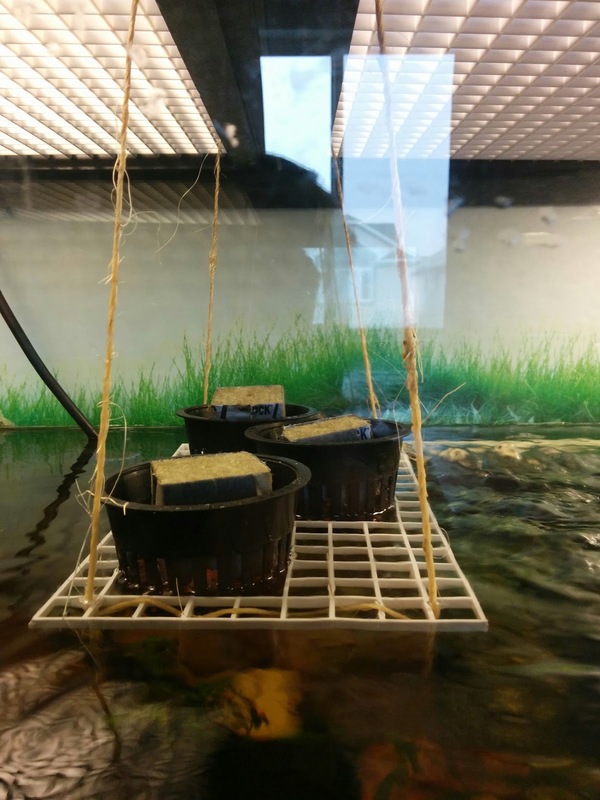 The first shoots are just breaking the surface. You can only just make them out in the middle pot shown below. 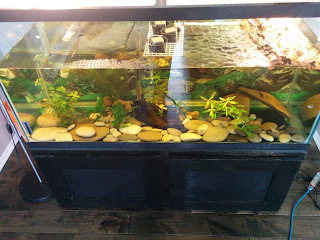 It seems to me that the biggest risk is that the nutrient level in the aquarium water may not be sufficient to achieve true aquaponics growth rates but If I can grow even a modest amount of lettuce to feed to the turtle then that would make this project worthwhile.